The Long-Term Military Transformation programme is Allied Command Transformation’s process for anticipating and preparing for the ambiguous, complex and rapidly changing future security environment. The first component is the Strategic Foresight Analysis. The second component is the Framework for Future Alliance Operations. The Long-Term Military Transformation informs decisions and actions that are required to prepare the Alliance for tomorrow’s security challenges. NATO's Allied Command Transformation promotes and leads many initiatives designed to transform NATO's military structure, its forces, capabilities and doctrine. To provide a foundation for this work, Allied Command Transformation conducts strategic foresight analysis to identify future global trends and to identify potential military implications for the Alliance. This foresight work is known as Allied Command Transformation’s Long-Term Military Transformation programme. Within the Long-Term Military Transformation programme, every four years, Allied Command Transformation conducts a comprehensive look at the global security environment and describes it in two visionary documents. These documents are the Strategic Foresight Analysis and the Framework for Future Alliance Operations. 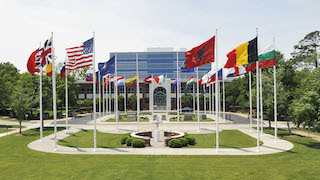 Although Allied Command Transformation is based in Norfolk, Virginia, the foresight work takes a global approach, holding annual conferences in USA and Europe that bring together the Allied Nations, NATO Centres of Excellence, and other key stake-holders, including members of academia and industry. The overall purpose of Allied Command Transformation’s Futures Work is to describe the trends, future security challenges, potential opportunities and the related military implications that shape the future security environment, and to recommend the abilities that NATO forces may need to address them. The Strategic Foresight Analysis Report provides a wide-ranging shared understanding of the future security environment that is expected to unfold out to 2035 and beyond. The Report depicts political, social, technological, economic, and environmental trends and their implications. The latest Strategic Foresight Analysis Report is the 2017 Report, released October 2017, which builds upon the Strategic Foresight Analysis 2013 and 2015 Update Reports. The aim of the Strategic Foresight Analysis Report is to identify trends that will shape the future strategic context and derive implications for the Alliance out to 2035 and beyond. The Strategic Foresight Analysis does not attempt to predict the future, for the future is neither predictable nor predetermined. It provides an iterative assessment of trends and their implications to understand and visualise the nature of the dynamic and complex security environment. The Strategic Foresight Analysis is the initial phase of the ongoing Long-Term Military Transformation efforts at Allied Command Transformation and sets the intellectual foundation for a follow-on report, the Framework for Future Alliance Operations. The Strategic Foresight Analysis Report examines the main trends of global change and the resultant defence and security implications for NATO, highlighting challenges as well as opportunities. It is structured along the following themes: political, human, technology, economics/resources and environment. The new Strategic Foresight Analysis 2017 Report has been released. The glossy print version is available by clicking the link on the left. The text version is available here. Using the Strategic Foresight Analysis Reports as its foundation, the Framework for Future Alliance Operations proposes how Alliance forces might plan to transform, and recommends abilities that these forces may need to develop over the next 15 years. The Framework for Future Alliance Operations can be used to inform the NATO Defence Planning Process and be taken into consideration by defence planners to expand the NATO Defence Planning Process into the long-term. Today, the Alliance military forces face a challenge in that they should adapt, evolve and innovate to meet an ambiguous, complex, and rapidly changing security environment. The Framework for Future Alliance Operations is a document that seeks to identify the abilities of a future Alliance pool of forces to meet the potential demands of the security environment from today through to the foreseeable future, 2035 and beyond. 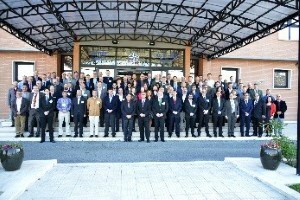 The Framework for Future Alliance Operations is designed to improve the Alliance’s long-term perspective of the future security environment to support and inform the NATO Defence Planning Process, as well as other NATO and national processes that require an assessment of the long-term future. Overall, the future security environment through 2035 and beyond will likely be increasingly complex and present both challenges and opportunities to NATO’s military forces. A wide variety of drivers could lead to instability situations resulting in the Alliance’s decision to employ military forces. 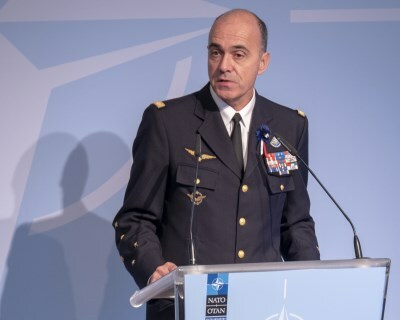 NATO military forces will need to apply the existing tenets of the law of armed conflict in new contexts, including emerging areas of ethical concern (e.g., human enhancement, cyber, the employment of automation/artificial intelligence, and blurring lines between combatants and non-combatants). However, NATO military forces could seize many opportunities in the future, including building and strengthening relationships, capitalising on innovative technology, ideas to maintain the military edge, as well as understanding and influencing the human aspects of conflict. The Framework for Future Alliance Operations (FFAO) 2018 Report has been approved and signed by both SACT and SACEUR. 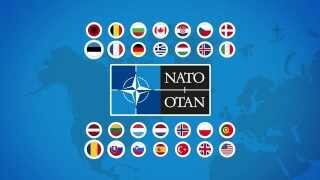 The report was sent to the NATO Secretary General to the NATO Military Authorities and to the NATO and Partner nations. The FFAO provides the Bi-SC’s best military advice that identifies the required characteristics and abilities of forces that need to be available to the Alliance to retain the military edge and prevail in future operations, address challenges, and seize opportunities of the future. Building on the foundation of the FFAO 2015, this edition includes new discussion on the nature of war and character of conflict, Instability Situations, legal and ethical questions, and opportunities. The FFAO 2018 also includes an overarching Central Idea, refined Strategic Military Perspectives, Enabling Elements, and refined Military Implications. In addition, this document includes new emphasis on nuclear issues, terrorism, human capital, mission command, cross-domain operations and effects, full-spectrum cyberspace operations and space issues, and new disruptive technologies including artificial intelligence as a game-changer. The FFAO 2018 Report can be used to inform the NATO Defence Planning Process and might be taken into consideration during the development of the Military Committee recommendation to the next Political Guidance. The glossy print version is available by clicking the FFAO 2018 Report link on the left. The text version is available here. This section contains a list of upcoming workshops and future products, with details and relevant links, as well as related news and events. For each event, a list of available documents is provided. Older events are available in the archive sections below: NATO'S Long-term Military Transformation Workshops Archive, Strategic Foresight Analysis Archive, Framework for Future Alliance Operations Archive. "This anthology of stories was developed as a proof of concept that futurist prototyping would be a useful tool to advance our thinking around the future. Many inventions and innovations were described in stories many years before they became a reality. Advanced submarines, flying to the moon, flip phones, iPads and the Internet itself were foretold decades before the underlying scientific challenges were solved. That futurist literature informs or inspires product design has become an established practice. The foundational hypothesis for this project is that leveraging the rich tradition of futurist storytelling will assist innovative and transformational thinking. I hope that the broader and imaginative ideas provided here can be assessed by those at the cutting edge of technology delivery and conceptual thinking and will be useful in postulating possible future evolutions of technology and the environments enabled by them. SciFutures brought together a group of talented futurist authors and gave them a profile of the future developed from Allied Command Transformation’s broad library of futures work including the Strategic Foresight Analysis, Framework for Future Alliance Operations, Technology Trends Survey and Long Term Aspects of requirements. With this profile in mind, but unbounded by military strictures or the subliminal requirement to be “realistic”, the authors began a journey of envisioning the future, and exploring and imagining how technology and trends could affect future operations. This anthology is the result of that journey. These stories will incite inventive thinking and discussion about future possibilities and add to the toolbox that the Alliance military and others can leverage to imagine and contemplate how NATO will undertake operations in the coming decades. Insights ranging from human enhancement to advanced weaponry, robotics, artificial intelligence and atypical soldiers will enlighten and colour how we think about future military engagements, and inform new iterations of intellectual thought on long-term military transformation within Allied Command Transformation. This project has literally taken on the challenge levied by Sergey Brin, one of the founders of Google, who said, “If what we are doing is not seen by some people as science fiction, it’s probably not transformative enough.” Allied Command Transformation offers this anthology to provoke a rich debate on the future. I hope that you enjoy reading these stories and I encourage you to engage actively in coming discussions." Headquarters, Supreme Allied Command Transformation is pleased to report the findings of the Strategic Foresight Analysis workshop in Budapest, Hungary, at the National Public University on 6-8 November 2018. Building on the discussions at the previous Strategic Foresight Analysis workshop in Cadiz, Spain, the aim of this workshop was to set the foundation for the three Regional Perspectives Workshops that are planned for 2019; respectively on North Africa, Russia and Eastern Europe, and the Arctic/High North. These workshops will contribute to the development of Regional Perspectives Reports for each region. The Budapest workshop also provided an opportunity to demonstrate potential use of data science applications to improve the efficiency and increase the capacity of Allied Command Transformation's foresight methodology. The workshop was opened by Dr. Csaba Vezekenyi, Hungarian Deputy State Secretary on defence policy followed by a presentation on the National University of Public Service by Dr. Nyikos Gyorgyi PhD, Vice-Rector for International Affairs. After the opening we had an overviews of Hungarian transformational efforts by Dr. Gyorgy Rabai, Hungarian Ministry of Defence - Defence Policy Branch, branch head and by Dr. Gergely Nemeth Hungarian Ministry of Defence J5. After that, a short summary of the Long Term Military Transformation program was presented to inform first-time attendees on Allied Command Transformation’s foresight work and the purpose of the Regional Perspectives Reports. The morning session concluded with a short lead-in briefing focused on the aim, objectives and desired outcomes of the first breakout sessions on North Africa. Over the following two days, participants worked in breakout sessions along the five themes of the Strategic Foresight Analysis (Political, Human/Social, Technology, Economics/Resources, and Environment) to analyse trends and implications, and to identify key areas, concerns, issues for the different regions. They were also asked to determine initial ideas that will require in-depth analysis These ideas will be distributed to a wider audience for their inputs which will serve as the basis for call for papers in development of the Regional Perspectives Reports. The participants were also requested to identify potential Subject Matter Experts that could support the Regional Perspectives workshops and reports. Before the breakout sessions on Russia and Eastern Europe and the Arctic/High North regions, the Host Nation presentation on “Defence capability development challenges and opportunities in Hungary” was provided by Imre Porkolab PhD. This was followed by briefing from Microsoft Solutions Group on their applications to conduct large data analytics and a presentation on Space by Lt Col Ryan Snider member of the SCO group. On the last day, the breakout section were finalised and the workshop continued with a breakout presentations. The breakout session leaders/Subject Matter Experts provided back briefs of their respective regional discussions. Finally, the workshop concluded with closing remarks provided by Col Tibor Szabo, Allied Command Transformation, Strategic Foresight Branch, branch head. 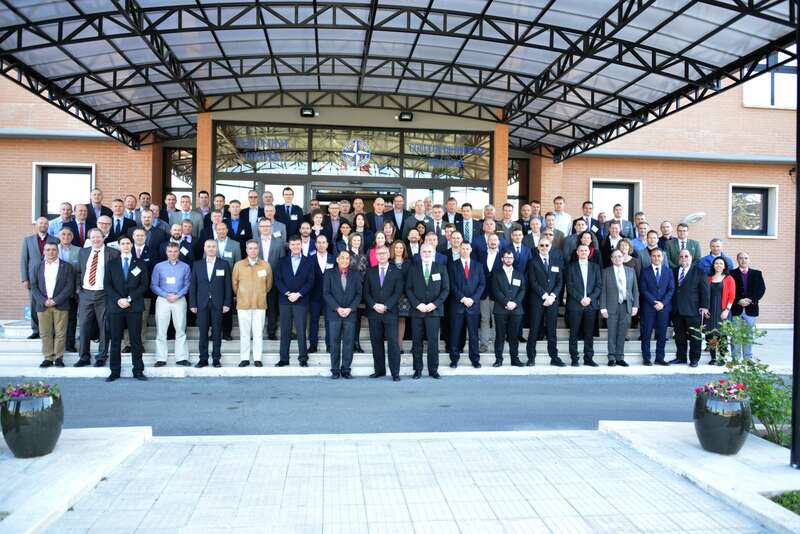 The Budapest workshop provided valuable input to the development of the respective Regional Perspectives Workshops. The detailed Workshop report will be published and send to nations and workshop participants at the beginning of December 2018. Moving forward with Regional Perspectives Reports, the Strategic Foresight Analysis / Framework for Future Alliance Operations teams will continue to plan and organize the Regional Perspectives workshops in close coordination with the respective host nations: Spain, Finland, and Norway. The results of the workshops will be reflected in and establish the foundation of the Regional Perspectives Reports. 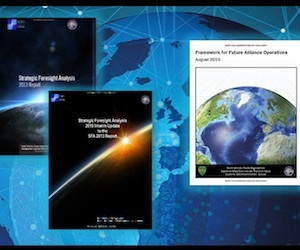 These reports will inform the development of Strategic Foresight Analysis 2021 and to the Framework for Future Alliance Operations 2022 reports. ***NEW*** Workshop Report *** NEW***. Visit here to see our archive of previous Futures Studies and Workshop Reports. The Strategic Foresight Analysis Workshop in Cadiz has been an initial attempt to share ideas and objectives for the 2018 and 2019 timeframe with the Strategic Foresight Analysis community of interest. In the next two years, the convergence of the technology trends and their implications on all other trends in the political, human, economy/resources and environment domains will be analysed and a test report, using computing power in the analysis process, will be developed. Additionally, short regional reports on Russia-Eastern Europe, the Arctic, Asia-Pacific and the Middle East and North Africa and the Sahel will be provided as an outcome of regional workshops. In this work, computing power will be used to support the research and analysis phases, development of scenarios to validate and inform trend analysis, and identification of implications. 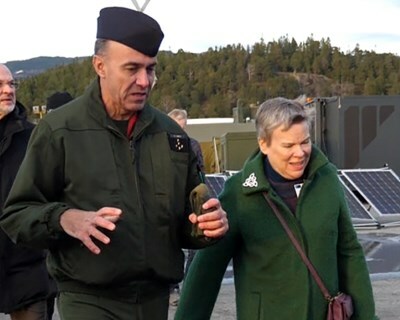 This process will provide an example of using technology and innovative approaches in staff processes, and of testing new ground to make an end product that adds value to NATO and Nations. The aim of the Strategic Foresight Analysis workshop was to take stock, review methodology, discuss best practices and to outline a proposed way ahead toward the development of future Reports, while maintaining collaboration with NATO and Partner Nations, NATO Command and Agencies, Centres of Excellence, academia and industry. Click HERE for the report, HERE for the presentations, HERE for the invitation letter. NATO ACT will publicly launch its Strategic Foresight Analysis for 2017 this fall in Washington, DC as well as in Berlin. 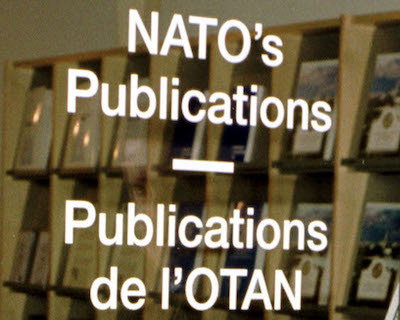 NATO ACT is hosting launch events to give this report the widest dissemination in the United States and Europe. 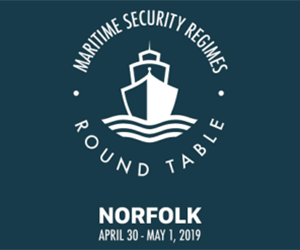 This will apprise leaders and influencers of the dynamic and complex future security environment and identify challenges and opportunities to peace and security that lie on the horizon and beyond. The Strategic Foresight Analysis 2017 is the only NATO report of its kind and is a shared vision for the future authored by Allied Nations, Partner Nations, academia, and industry to foster a common understanding of the future that NATO expects to face out to 2035. Allied Command Transformation is keen to share the report as widely as possible, to act as a foundation for wider debate about subject of our future. Strategic Foresight Analysis 2017 Report Launch in Washington D.C. The shift toward multi-polarity and a growing potential for major power conflict, combined with increasing populism, rapidly changing demographics, and emerging technologies, is presenting unique challenges to governments, militaries, and societies around the world. Allied Command Transformations’ (ACT) 2017 Strategic Foresight Analysis report identifies the key drivers of these global trends and their implications for NATO and the Alliance. 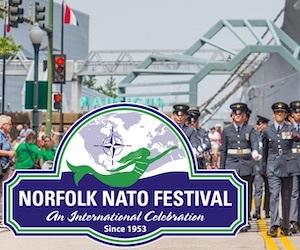 The panel – featuring US and European experts on security, strategy, and foresight – will discuss how NATO and the Alliance can use insights from the analysis to help prepare itself for a future that is more complex, interconnected, and unpredictable. 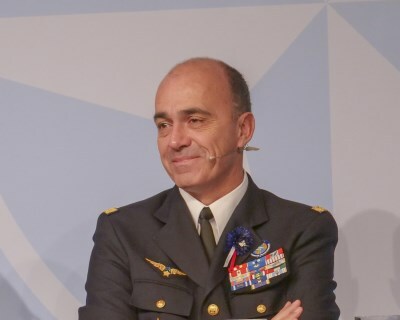 The Congress addresses the European armed forces and the security organisations in Europe and those Non-European organisations that cooperate with them. It addresses also the respective ministries and agencies, the embassies in Berlin and the national and international companies. A special invitation goes also to the members of all national parliaments and those of the European Parliament. This event is open to press and on the record. Supreme Allied Commander Transformation is pleased to report the findings of the Framework for Future Alliance Operations workshop held in Stavanger, Norway from 3-5 October 2017. The Framework for Future Alliance Operations workshop was a two-and-a-half-day working-level event held at the Joint Warfare Centre which brought together 87 participants from 18 Nations (15 NATO & 3 Partner Nations), NATO Commands and Agencies, 16 Centres of Excellence, European Committee and Defence Agency, think tanks and academia. 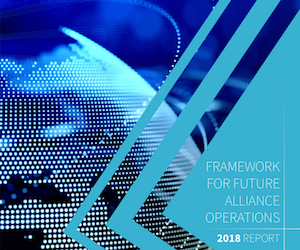 The primary deliverable for this conference were recommended changes to the draft Chapter 3 of Framework for Future Alliance Operations 2018. The workshop began with a plenary session for introductory remarks, discussion of workshop concept and objectives, survey results, and discussion of applicable lessons learned. Then the workshop participants broke down into small syndicates for facilitated syndicate work to address the core question: In 2035 and beyond, what abilities will NATO forces require in the areas of prepare, project, engage, sustain, C3, protect, and inform in order to accomplish NATO core tasks? The first day concluded with a brief icebreaker event. The second day of the workshop began with a plenary session on SAS-123 brief panel followed by continued syndicate work. 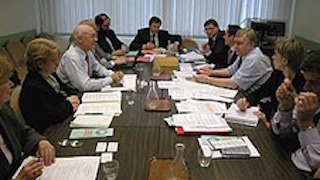 The last day consisted of out-briefs and discussion commencing in a plenary session. Closing remarks from Colonel Szabo concluded the workshop around noon. The Long-Term Military Transformation Programme will continue with the aim of completing the Framework for Future Alliance Operations in 2018. Moving forward, the Framework for Future Alliance Operations team will incorporate recommended changes into the draft Chapter 3 of the document. In October 2017, this document will be submitted for full staffing and review, followed by Bi-SC review in early 2018. Moving forward with this project the Framework for Future Alliance Operations team will incorporate recommended changes into the draft Chapter 3 of the document. After this the fullFramework for Future Alliance Operations-2018 Report will be transmitted to stakeholders for red-line comments. All stakeholders will have about six weeks from end of November 2017 until 06 of January 2018 to provide final comments. Framework for Future Alliance Operations team is going to have a review with Allied Command Transformation and Allied Command Operations stakeholders in the same time and the Team will have a Line-by-Line Review of full Framework for Future Alliance Operations final draft with small group from Allied Command Operations in Brussels 12-16 February 2018. After this review the Framework for Future Alliance Operations Writing team will develop the final draft and will start the Bi-SC approval process. According to our timeline the Framework for Future Alliance Operations Report will be Bi-SC approved at mid-March.